President Chuck Reavis presided over the Rotary transition meeting, also known as the "Changing of the Guard". 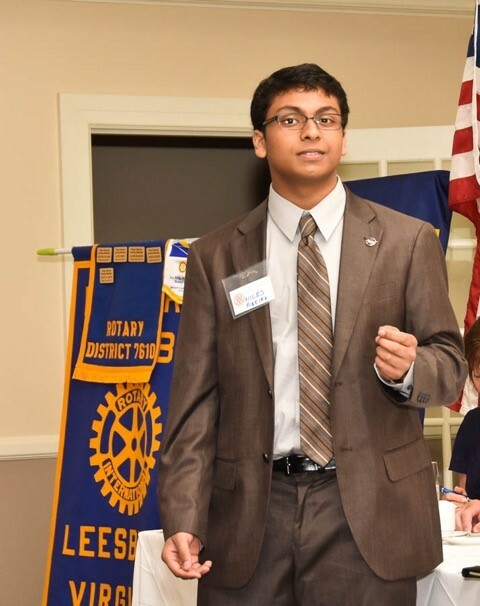 Niles Ribeiro, who received the first place award in the District Speech Contest, delivered his powerful presentation on Lighting up Rotary. The club was honored to have this 17 year old Warrenton student and his family as guests on this special evening. In recognition of an outstanding year of club service, programs and other activities, the club gave Chuck a hearty applause, a thank-you card signed by members, and contributions of "good news" to recognize his leadership. 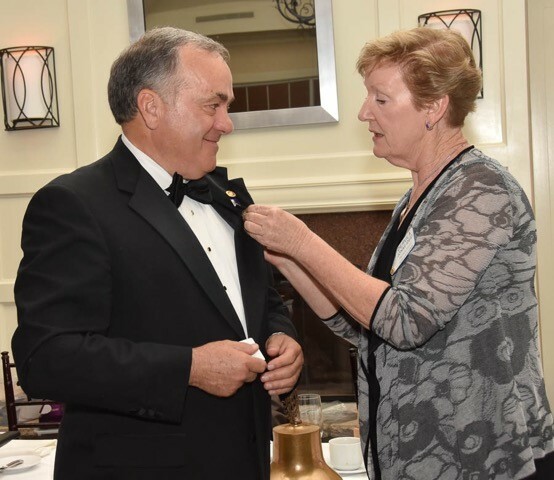 Dee Jonas presented him with a gavel plaque and past president's pin. He thanked all of the club and the board for their contributions. 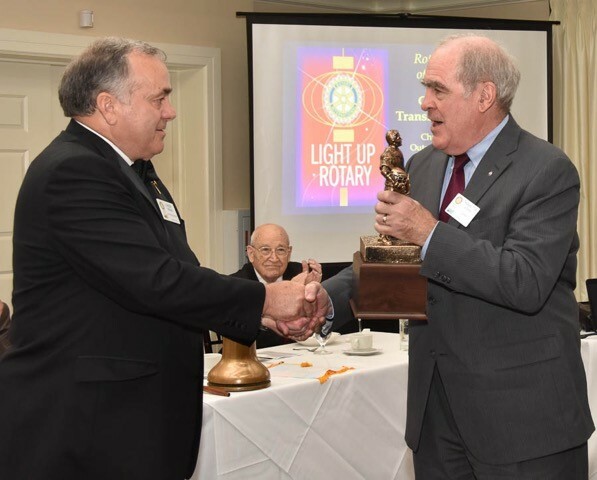 Special awards were presented to Ron Rogos, as Rotarian of the Year, and Richard Jollon, as the Rotary Rising Star. Chuck presented Tom Horne with a trophy to honor him for his community service and work in bringing lacrosse to Loudoun County. 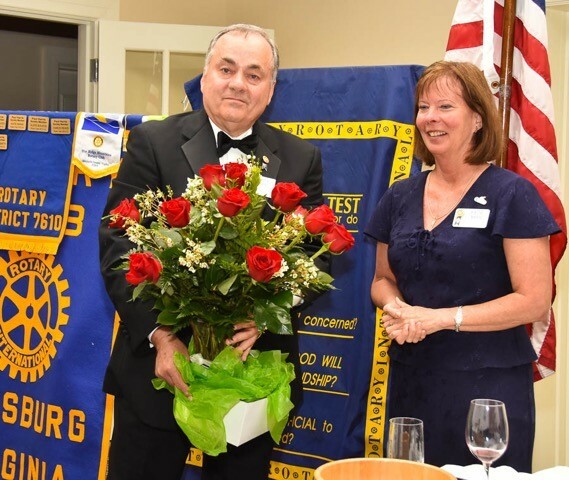 Club secretary Katie Mann received a beautiful bouquet of red roses in appreciation for her exceptional service and talent. Dean Worcester inducted new president Dee Jonas, who is looking forward to working with the club. 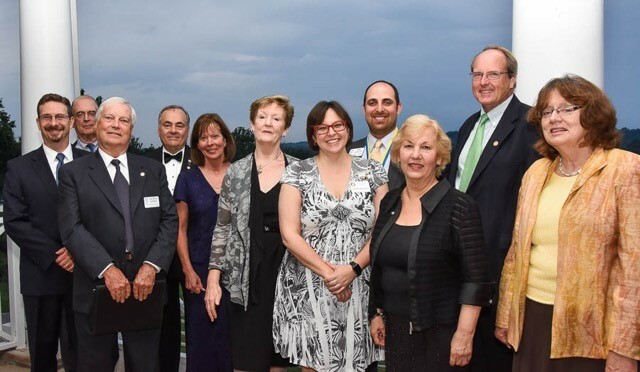 She thanked the new board and committee chairs who will serve this year, and introduced the new RI theme "Be a gift to the world". 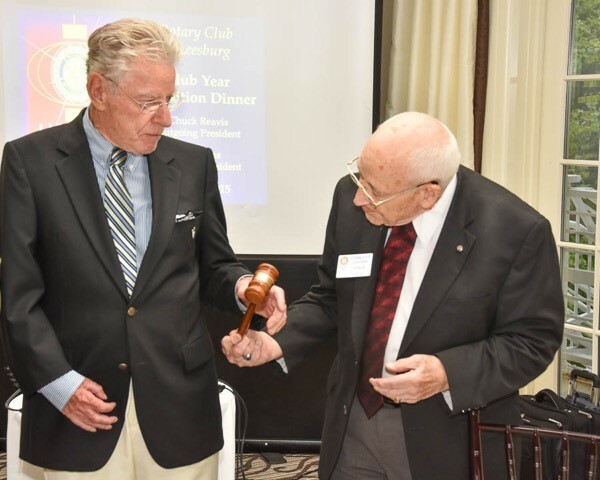 Past presidents lined up for the impressive tradition of passing the gavel to Dee, starting with Stanley Caulkins who served as president in 1957.